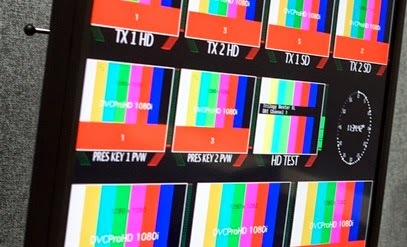 Information TV is planning to launch a streamed channel service on Freeview, available to viewers with compatible Freeview TVs. Its website confirms that "2014 will see the company launching IP based platforms to reach the homes that do not have SKY or Freesat access. For the viewer this is menu driven access via Freeview/DTT to channels delivered via the internet. The ubiquity of Freeview with the cost of IPTV." Further information about the planned service is not known. Information TV was suspected of planning a Freeview streamed channel launch last year, when the official Freeview channel guide booklet, available as a pdf on its website, showed channel 233 as being reserved for Showcase, one of Information TV's brands, in the Winter 2013 edition of the guide. Then micro-channel Cornwall Channel, which broadcasts on Information TV, mentioned on Facebook that it was going to be on Freeview. The launch never materialised. A number of niche streamed channel services have recently been withdrawn from Freeview, but at the same time more well-known channels such as Motors TV, MTV and CNN have become available as streamed channels - MTV and CNN are part of the VuTV pay TV service on channel 238. Meanwhile, Arqiva's Connect TV has a slate on channel 225 advising viewers to check back soon for new services.